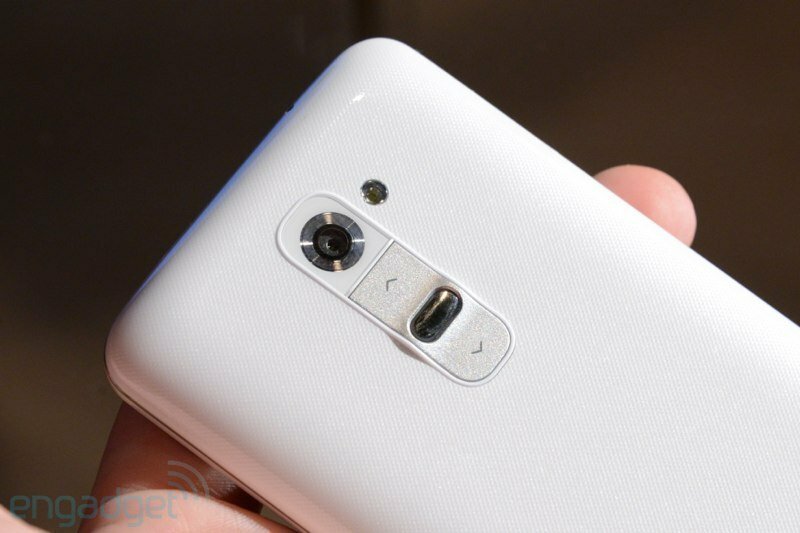 LG, in case you hadn’t noticed, have not been a huge player in the smartphone business. They have been obscured by the great rivalry between Apple and Samsung, and the re-emergence of company’s like Nokia have done much to hide the company in the mid-tier. So this is seen as something of a make or break for the company. The G2 sports a huge 5.2 inch screen, and much like the Galaxy S4, it utilises the full width of the screen to deliver an impressive spectacle which wastes no space. However, the most impressive elements on this phone lie on the inside. Alongside the Sony Zperia Z Ultra, this is the first phone to boast of a quad-core processor at 2.26GHz, coupled with a significant 2GB of RAM. This is delivered via the Qualcomm Snapdragon 800 chip, which is the next-gen chip which will be powering some of the big releases still to come this year. It’s often hard to get excited by pure spec, so what does it actually mean? For one, you’re looking at a much better power consumption ratio, meaning the battery will actually last more than 5 minutes. In fact, you’re looking at a1.2 day battery span with normal use, which frankly blasts away what most smartphones can deliver. 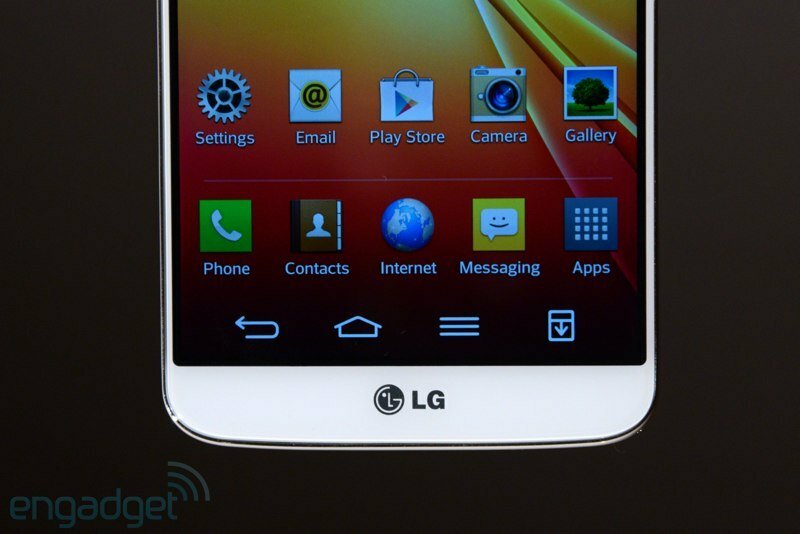 LG are also focussing on the multi-media side of smartphone use with the G2. The smartphone will include a ‘proper’ Hi-Fi stereo system, which sits alongside a 13mp camera, complete with image stabilisation and a full HD display. 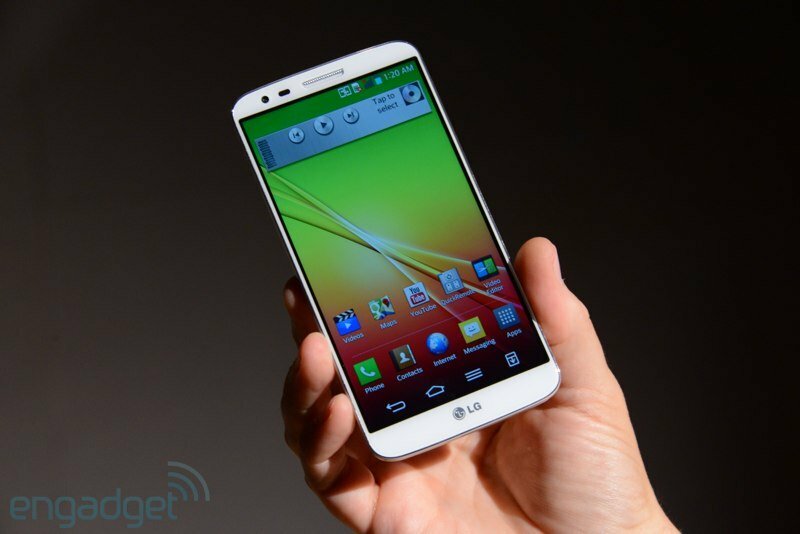 LG have also focussed on creating a slimmed down, more visually pleasing phone. 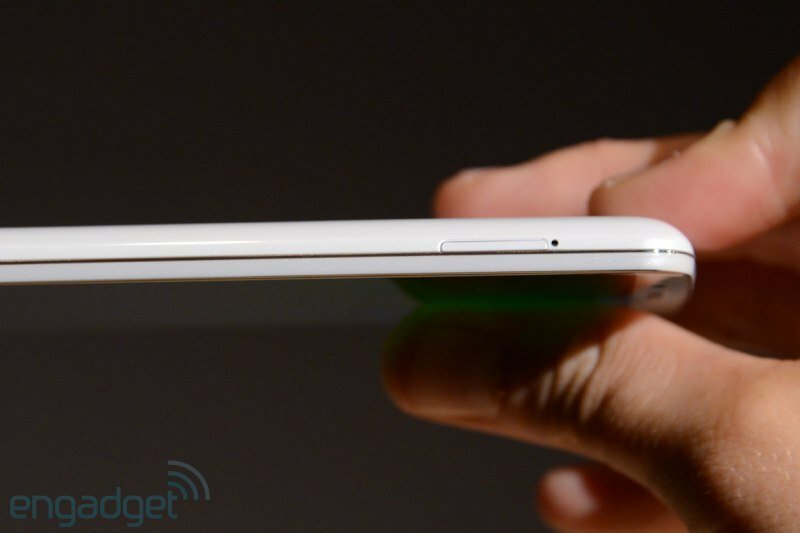 Despite its thickness – it compares to an HTC One in this respect – it is a relatively sleek device. The thickness combined with the plastic shell does mean that it is hard to position this phone as a thing of beauty – it is much more function over form in our opinion. 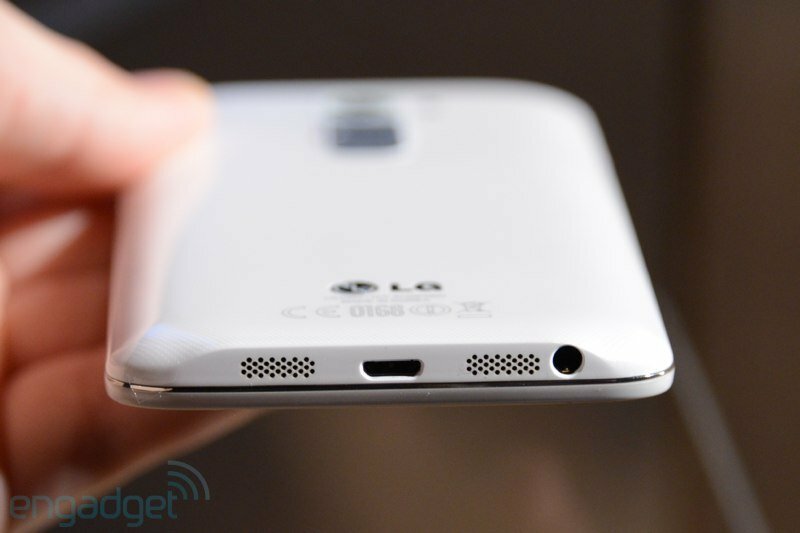 To elaborate further, LG have re-engineered the placement of buttons, with the power and volume buttons now appearing on the back of the device. It may not be pretty, but it is intended to aid usability, especially around the camera and Hi-Fi elements. How effective is it? i think we’re a little early to say at the moment, but if nothing else, its great to see a company innovating. Either way, the full HD screen is a genuine thing of beauty. Its wide – with space allocated by the removal of buttons to the back of the phone – and its display is crystal clear. Compared to the iPhone screen, this is poles apart, and will really allow the company to wow customers in phone shops. Not all button/element moves are smart ones though. The move of the headphone jack to the base of the phone is frankly senseless. I can’t see the logic, especially when headphone cords are normally too short to allow the phone to sit properly in your pocket whilst the jacks on the top, let alone the base. Why would you want to carry your phone upside down in your pocket when there’s no upside? 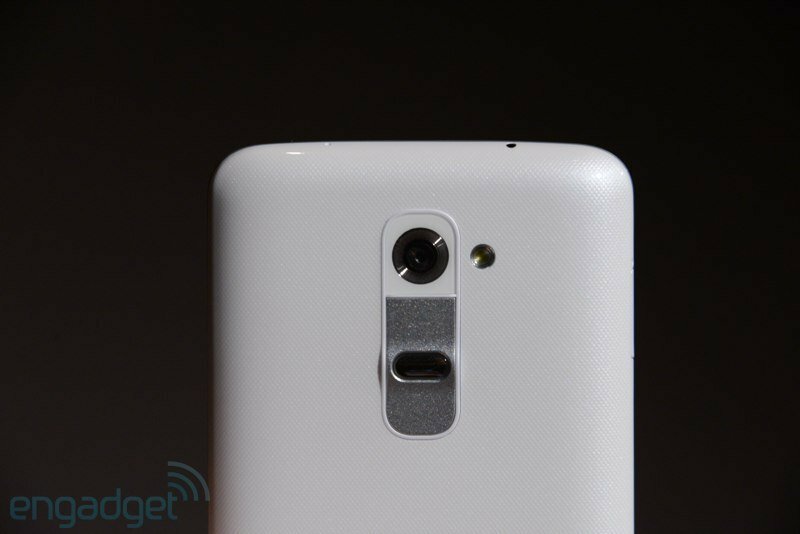 The LG G2 is available in seven colours, via snap-on cases. These cases enable you to access the ‘small phone’ mode, which in turn allows you to gain quick access to vital multi-media elements like the photos and music. You can also quickly get to your alarm clock and other immediate access features too, even if the design of these cases is a little clunky. However, this phone warrants more praise than criticism. We really love the audio functionality, and this is a really novel area for a smartphone maker to focus on. It’s a common usage which most manufacturers have failed to address. Well worth investing in some good headphones. LG went as far as re-writing some of the Android 4.2 OS to make this work, and its a masterful job that they have done. The level of customisability is bordering on the extreme, with the ability to change fonts and totally re-engineer the way the phone looks. 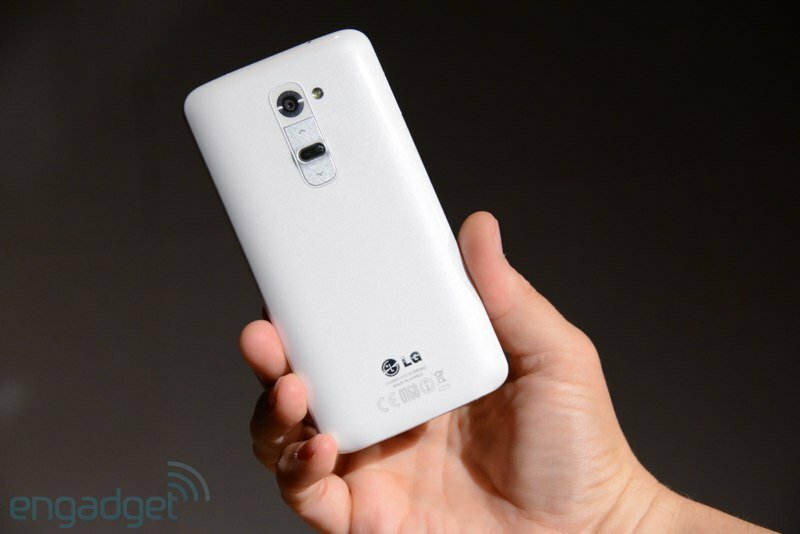 All in all this LG G2 is a promising. Will it beat the iPhone 5S or the new Samsung’s? Maybe not, but it will sell strongly.